The Cruise Ship Second Hand Market Report (1983-2018) presents a yearly account of known ship transactions (sales, charters, etc. ), giving an overview of trends over the years. This PDF report delivers instantly via email. Now includes ship retirement and withdrawal data. 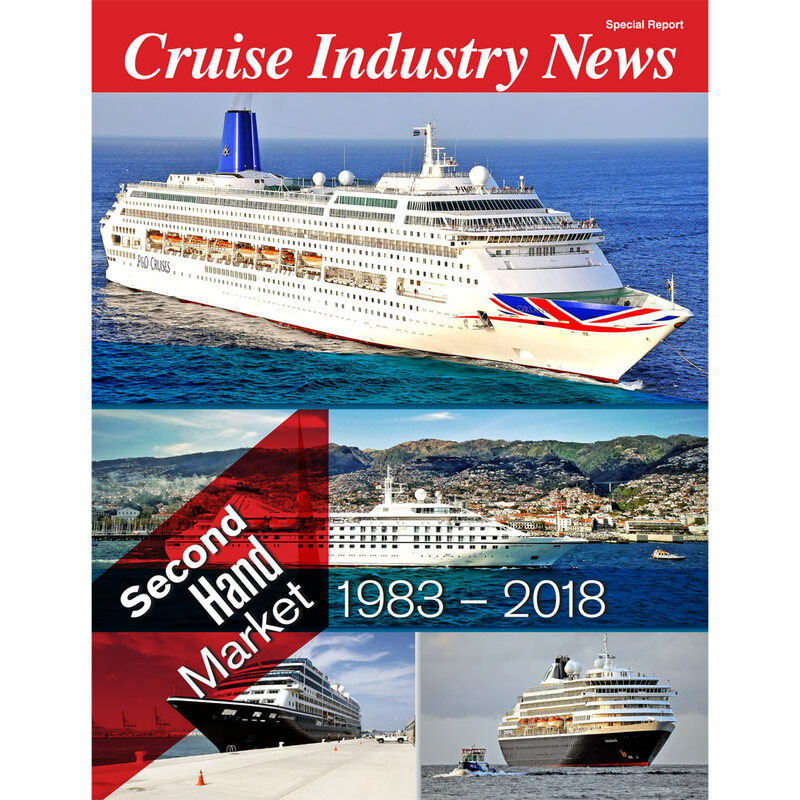 1983-2018 Cruise Ship Second Hand market data as independently sourced and published by Cruise Industry News. Each year (from 1983 through 2018) shows known vessel transactions based on fully independent research; also includes some key charters. Includes a section on cruise ship withdrawals and retirements. Ship transactions include cruise line, ship, tonnage/passenger capacity, and terms (if available). 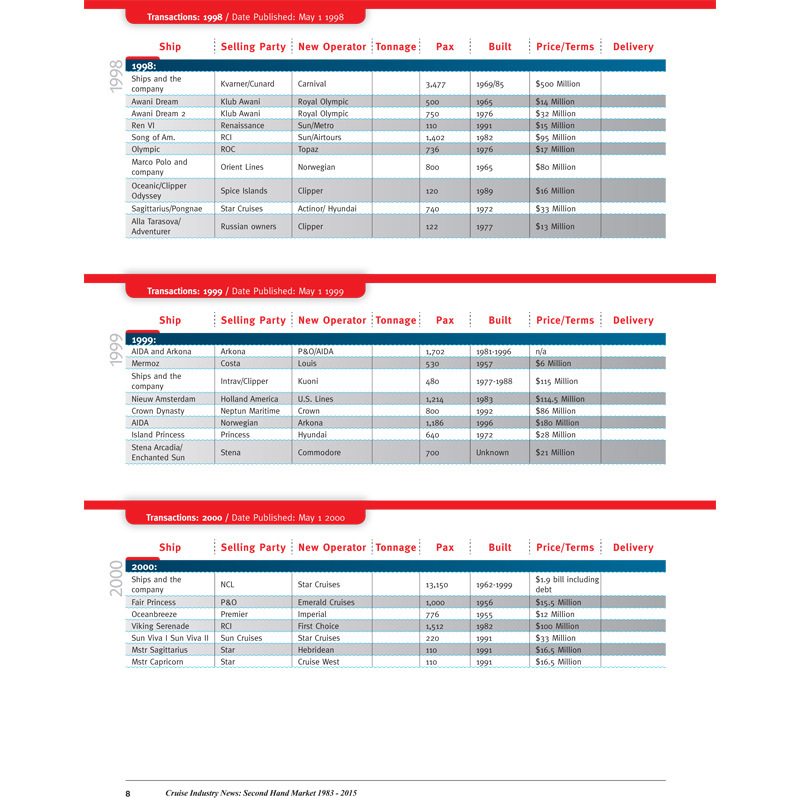 Data and information you need in just 20 pages to plan to present a complete over view of cruise ship transaction history. Instant download ability – no waiting for mail – this report is 100 percent digital.